One major media training tip for those on the end of media questions over the hot air balloon tragedy is to avoid speculation at all cost. The most common question from journalists is likely to be 'what do you think caused the disaster'? This will confront those investigating the incident and possibly the company involved. The best media training advice is to avoid answering this question at this early stage as any such response would be mere speculation. It could also be communicated at the likely cause, or even the real cause. Responses should be answers such as "It's to early to say what caused this, but what I can tell you is..." Then the interviewee can move to a message they want to get accross. For example: "It's to early to say what caused this, but what I can tell you is that we will leave no stone unturned until we get to the bottom of it." This can be a major issue for people at the end of a microphone. They think they will look stupid if they don't have an answer. Any meadia training expert will tell clients to never speculate or guess the answer. There is nothing wrong with saying you don't know. Audiences are quite happy with this. You can also say you will let the journalist know when you do know the answer. 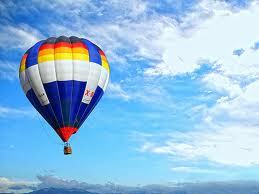 This is vital in crisis situations like the Hot Air Balloon accident from both a media training and legal standpoint.